Assisted living is a great intermediate step for seniors who need more help than family can provide at home, but who don’t need care around the clock. Families often must make home modifications and hire in-home care to make their residence safe for seniors whose physical health begins to wane. From medical alert systems to shower grab-bars, wheelchair-accessible ramps, and more, these expenses can add up: especially if supervised care is needed around the clock. Assisted living communities are designed for accessibility and increased senior mobility, helping seniors avoid falls and accidents and providing access to medical assistance, whether it’s medical staff within the community or accessibility to a nearby hospital. Retirement and assisted living communities offer many fitness and physical therapy programs to keep seniors active, from Tai Chi, Yoga and Zumba classes, to endurance and strength-building workouts. Fitness programs are also catered to senior citizens and specific medical conditions. Even gardening clubs in the community can provide exercise and fun to help seniors stay active and release endorphins. Staying active in organized group settings can also help seniors treat arthritis, keep their circulation flowing and keep their bodies engaged in healthy ways. Opportunities for physical fitness in assisted living go far beyond what family caregivers can easily provide at home. • In assisted living, seniors can easily socialize with peers, not only in common areas but also through planned, structures activities like cultural events and field trips. Assisted living actually inspire seniors to get involved, which leads to greater happiness and quality of life. It can be very difficult to supervise senior nutrition at home. Seniors living alone may find it unappealing to cook for one, and it’s challenging for family caregivers to monitor whether their loved ones are receiving the necessary nutrients. In fact, many seniors suffer from malnutrition, which make their health and well-being decline — despite family’s attempts to keep them healthy. 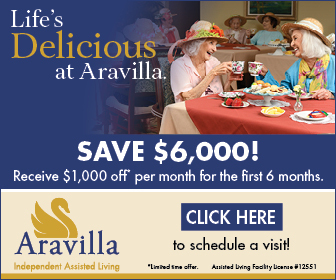 In assisted living, residents are served three meals a day tailored to their specific medical conditions, such as difficulty swallowing or diabetes, and some luxury communities even offer gourmet dining. Housekeeping, yard work and regular activities of daily living (ADLs) can often be a burden to seniors. Having the details of living taken care of in assisted living allows seniors the freedom to enjoy their autumn years with others’ their age, in addition to take advantage of assisted living activities and amenities. Family caregivers or hired in-home help are also generally responsible for helping with ADLs such as bathing, dressing, eating, which can be quite expensive without the social and activity benefits that go along with assisted living. Assisted living provides expert help with ADLs to allow seniors more independence for the activities that make them happy, which in turn offers better quality of life.